Author: Sheridan, Sam Set In . . . In 1999, after a series of wildly adventurous jobs around the world, Sam Sheridan found himself in Australia, loaded with cash and intent on not working until he’d spent it all. It occurred to him that, without distractions, he could finally indulge a long-dormant obsession: fighting. Within a year, he was in Bangkok training with the greatest fighter in muay Thai (Thai kickboxing) history and stepping through the ropes for a professional bout. That one fight wasn’t enough. Sheridan set out to test himself on an epic journey into how and why we fight, facing Olympic boxers, Brazilian jiu-jitsu stars, and Ultimate Fighting champions. Along the way, Sheridan delivers an insightful look at violence as a career and a spectator sport, a behind-the-pageantry glimpse of athletes at the top of their terrifying game. 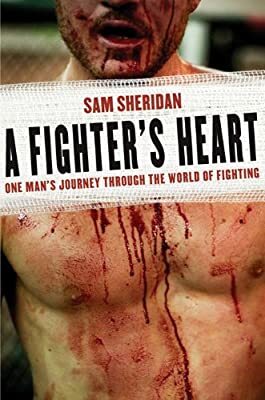 An extraordinary combination of gonzo journalism and participatory sports writing, A Fighter’s Heart is a dizzying first-hand account of what it’s like to reach the peak of finely disciplined personal aggression, to hit?and be hit.